I learned about CI/TPRS last summer when I was desperately looking for a different way to teach Spanish to my 8th grade students. I read all I could find but needed some face-to-face training. That’s when I came across Express Fluency and Elissa. What a find! I participated in the weekend program in August and the Follow-Up Workshop in the fall. The teacher training allowed me to experience firsthand what my students must feel when confronted with a new language, when I was a student in Sabrina’s French class. And I had the chance to observe Elissa and Laurie using the same techniques (movie-talk, readers-theater, etc) with their own personal touches in their Spanish classes. The Follow-Up Workshop was an excellent opportunity to learn and share experiences with other language teachers as well as to learn and practice new and known techniques. Both experiences were awesome and left me feeling energized and if not ready (lots of trepidation as to “will I be able to pull it off”) to try it out on my students. I can report that this school year has been a totally different experience for my students and me. They are spontaneously trying to speak Spanish both in class and outside. They are having fun and acquiring the language without even realizing they are doing so. I highly recommend Express Fluency teacher training. I have observed hundreds of Spanish language classes in the U.S. and abroad. 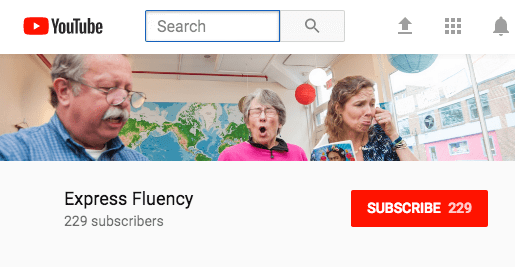 I believe Elissa at Express Fluency to be among the best language instructors I’ve ever seen–she is able to teach high quality Spanish language in a way that is joyful and with immediate and powerful results. Her methods reflect the best language teaching practices and is a great investment for any serious Spanish language learner (beginner – intermediate) to make! Bravo–I have never seen students so engaged and making such speedy and expansive progress as the five day workshop I observed! I highly recommend Elissa for staff training and teacher coaching. Her expert knowledge and enthusiasm inspired our teachers (even the most skeptical) to incorporate this approach into their classrooms. She is a fantastic coach and patient educator. She created an environment that not only taught us new skills, but brought our group together as a team. I couldn’t have imagined a better experience for our staff retreat.